Who did the Super Champion Eagles select in the NFL Draft? 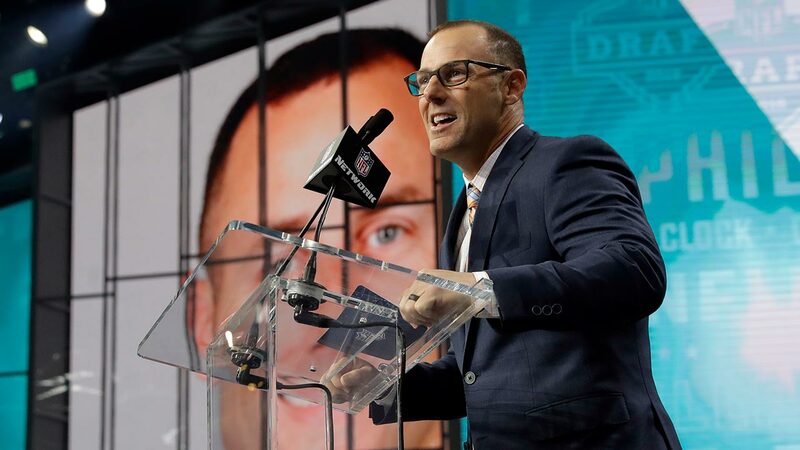 PHILADELPHIA -- The Super Bowl champions Philadelphia Eagles used the NFL draft to add another playmaker, restock their depth chart and get a rugby star. Dallas Goedert participates in the Bench Press at the 2018 NFL Scouting Combine on Friday, March 2, 2018, in Indianapolis. Pittsburgh defensive back Avonte Maddox runs a drill during the NFL football scouting combine, Monday, March 5, 2018, in Indianapolis. Sweat, 6-foot-5 and 251 pounds, was picked at No. 130. He had 14 sacks in three seasons and gives the Eagles even more depth on a deep defensive line. Australian rugby player Jordan Mailata appears onstage after being selected by the Philadelphia Eagles in the 7th round of the NFL Draft, Saturday, April 28, 2018 in Texas. Florida State defensive lineman Josh Sweat is seen at the 2018 NFL Scouting Combine on Sunday, March 4, 2018, in Indianapolis. "That's what we call 'rich man problems,'" Roseman said. "We're excited about that. That's how we're going to build this. We're always going to put priority on the lines. You can never have too many."